A hilarious lift-the-flap story book for very young children starring the delightful Kiki and Bobo. Meet Kiki and Bobo, the lively stars of this hilarious lift-the-flap story, perfect for very young children, about a very special day. Bobo knows today is special. So does Kiki. Both are planning a secret surprise party. But who for? 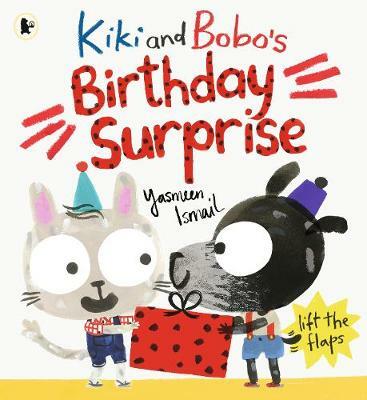 The delightful duo are the creation of award-winning illustrator and animator Yasmeen Ismail, who has won The New York Times' Best Illustrated Book Award and the V&A Best Illustrated Book Award.